1. Крылов В.В., Никитин А.С., Дашьян В.Г. и др. Хирургия массивного ишемического инсульта. М. Гэотар-Медиа. 2016. 136 с. 2. Levada O.A. Etiology, clinical variants, diagnosis and treatment tactic of cerebellar infarction. Лiкарська справа = Lik Sprava 2003;(5–6):3–6. PMID: 14618791. 3. Mohr J. Stroke: Pathophysiology, diagnosis, and management. 5th edn. Philadelphia: Elsevier, 2011. Pp. 750–752. 4. Macdonell R.A., Kalnins R.M., Donnan G.A. Cerebellar infarction: natural history, prognosis, and pathology. Stroke 1987;18(5):849–55. PMID: 3629642. 5. Greenberg J., Skubick D., Shenkin H. Neurology 1979;29(3): 409–13. PMID: 571991. 6. Klugkist H., McCarthy J. Surgical treatment of space-occupying cerebellar infarctions – 4 1/2 years post-operative follow-up. Neurosurg Rev 1991;14(1): 17–22. PMID: 2030823. 7. Neugebauer H., Witsch J., Zweckberger K., Jüttler E. Space occupying cerebellar infarction: complications, treatment, and outcome. Neurosurg Focus 2013;34(5):E8. DOI: 10.3171/2013.2.FOCUS12363. PMID: 23634927. 8. Tohgi H., Takahashi S., Chiba K., Hirata Y. Cerebellar infarction. Clinical and neuroimaging analysis in 293 patients. The Tohoku Cerebellar Infarction Study Group. Stroke 1993;24(11):1697–701. PMID: 8236346. 9. Hornig C.R., Rust D.S., Busse O. et al. Space-occupying cerebellar infarction. Clinical course and prognosis. Stroke 1994;25(2):372–4. PMID: 8303748. 10. Koh M.G., Phan T.G., Atkinson J.L., Wijdicks E.F. Neuroimaging in deteriorating patients with cerebellar infarcts and mass effect. Stroke 2000;31(9):2062–7. PMID: 10978030. 11. Bussaka H., Sakamoto Y., Hatanaka Y. et al. [Cerebellar infarction; the findings of CT, MRI and cerebral angiography (In Japanese)]. Rinsho Hoshasen 1990;35(4):445–51. PMID: 2355644. 12. Chen W., Fang J., Dong Y.R. et al. Teaching neuroimages: isolated vertigo and imbalance due to deep border zone cerebellar infarct. Neurology 2011;77(21):e122. DOI: 10.1212/WNL.0b013e318238ee31. PMID: 22105956. 13. Jauss M., Krieger D., Hornig C. et al. Surgical and medical management of patients with massive cerebellar infarctions: results of the German-Austrian Cerebellar Infarction Study. J Neurol 1999;246(4):257–64. PMID: 10367693. 14. Raco A., Caroli E., Isidori A., Salvati M. Management of acute cerebellar infarction: one institution’s experience. Neurosurgery 2003;53(5):1061–5. PMID: 14580272. 15. Tsitsopoulos P.P., Tobieson L., Enblad P., Marklund N. Surgical treatment of patients with unilateral cerebellar infarcts: clinical outcome and prognostic factors. Acta Neurochir (Wien) 2011;153(10):2075–83. DOI: 10.1007/s00701-011-1120-4. PMID: 21833781. 16. 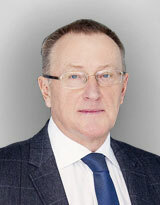 Simard J.M., Chen M., Tarasov K.V. et al. Newly expressed SUR1-regulated NC(Ca-ATP) channel mediates cerebral edema after ischemic stroke. Nat Med 2006;12(4):433–40. DOI: 10.1038/nm1390. PMID: 16550187. 17. Tsitsopoulos P.P., Tobieson L., Enblad P., Marklund N. Clinical outcome following surgical treatment for bilateral cerebellar infarction. Acta Neurol Scand 2011;123(5):345–51. DOI: 10.1111/j.16000404.2010.01404.x. PMID: 20636449. 18. Wijdick E.F., Sheth K.N., Carter B.S. et al. Recommendations for the management of cerebral and cerebellar infarction with swelling: a statement for healthcare professionals from the American Heart Association/ American Stroke Association. Stroke 2014;45(4):1222–38. DOI: 10.1161/01.str.0000441965.15164. d6. PMID: 24481970. 19. Асратян С.А., Никитин А.С. Обширный инфаркт мозжечка, вызывающий дислокационный синдром, и показания к экстренной операции. Журнал неврологии и психиатрии им. С.С. Корсакова. Спецвыпуски. 2012;112(12):55–60. 20. Годков И.М., Лукьянчиков В.А. Хирургическое лечение больных с ишемическим инсультом мозжечка. Нейрохирургия 2015;(3):84–90. 21. Jauss M., Müffelmann B., Krieger D. et al. A computed tomography score for assessment of mass-effect in spaceoccupying cerebellar infarction. J Neuroimaging 2001;11(3):268–71. PMID: 11462293. 22. Keidel M., Galle G., Wiedmayer J., Taghavy A. [Malignant cerebellar infarct (In German)]. Fortschr Neurol Psychiatr 1984;52(8):277–83. DOI: 10.1055/s-2007-1002025. PMID: 6479828. 23. Mathew P., Teasdale G., Bannan A., Oluoch-Olunya D. Neurosurgical management of cerebellar haematoma and infarct. J Neurol Neurosurg Psychiatry 1995;59(3):287–92. PMID: 7673958. 24. Baldauf J., Oertel J., Gaab M.R., Schroeder H.W. Endoscopic third ventriculostomy for occlusive hydrocephalus caused by cerebellar infarction. Neurosurgery 2006;59(3):539–44. DOI: 10.1227/01.NEU.0000228681.45125.E9. PMID: 16955035. 25. Khan I., Burhan Janjua M., Khatri I., Nadeem M. Surgical decompression in massive cerebellar stroke. Rawal Med J 2010;35(1):96–100. 26. Orz Y., Naggar A., Issa A. et al. Posterior fossa decompression in acute cerebellar infarction. Pan Arab J Neurosurg 2008;12(1):50–4. 27. Fairburn B., Oliver L.C. Cerebellar softening; a surgical emergency. Br Med J 1956;1(4979):1335–6. PMID: 13316146. 28. Jüttler E., Schweickert S., Ringleb P.A. et al. Long-term outcome after surgical treatment for space-occupying cerebellar infarction: experience in 56 patients. Stroke 2009;40(9):3060–6. DOI: 10.1161/STROKEAHA.109.550913. PMID: 19574554. 29. Kudo H., Kawaguchi T., Minami H. et al. Controversy of surgical treatment for severe cerebellar infarction. J Stroke Cerebrovasc Dis 2007;16(6):259–62. DOI: 10.1016/j.jstrokecerebrovasdis.2007.09.001. PMID: 18035243. 30. Pfefferkorn T., Epinger U., Linn J. et al. Long-term outcome after suboccipital decompressive craniectomy for malignant cerebellar infarction. Stroke 2009;40(9):3045–50. DOI: 10.1161/STROKEAHA.109.550871. PMID: 19574555.